Alright, we left off with Bon helping Aerin escape from the house, but he had to stay and fight Kay. Kay got the best of him and pulled out his gun. But the camera cut away to Aerin running off which is when we hear a loud bang. Oh nos! Is Bon okay? I think he is okay considering he seems to have nine lives on this show and has used up only about four or them so far. Rewind a bit to when Bon put the head maid to sleep. He apologized and told her to have a nice nap. Then he left and alerted Aerin that he will meet her in the yard. Aerin takes off running and Bon does as well. Aerin makes it out first. Bon makes it to the balcony and sees Aerin in the yard, but he also sees Kay. Kay has a gun so Bon jumps the balcony and pushes Aerin out of the way just in time, though he is shot himself. They fall into the bushes were Bon gives Aerin a bag to take out the back door. But he is staying because he has an old grudge he wants to take care of. But he warns Aerin that she has to take care of the bag no matter what happens. Bon goes out to fight Kay and Aerin runs off. But Bon is highly at a disadvantage with his injured arm. Meanwhile Aerin runs through the house to the back door. Kay gets the best of Bon and pulls the gun out. At the same time, Aerin get out through the back door. She hears the bang of the gun. But she remembers that she needs to protect the bag and continues running. Inside, we see that Agent Kwon is actually the one that fired! She is there with all her agents and tells them to follow Kay. Then she checks on bon who is still on the ground. She tells him that she will take his thank you later, but first we need to get an ambulance. On the street, Yong-tae gets dropped off on the side of the road. The Voice continues on and tells him that he will contact him later. Yong-tae calls the team and wonders if they are okay, but no one picks up. In King’s Bag, Agend Shim tells Ji-yeon that they should have told him that Bon is still alive. They apologize. Agent Shin asks them why Bon is in the Secretaries house (The Voices House). But he gets a call and is informed that Bon has a gun shot wound and is in the hands of Agent Kwon. Ji-yeon goes to the hospital and yells at Agent Kwon, how long will you give him a hard time! But Agent Kwon tells her that Bon is the one breaking in to the secretaries house. They start to talk about if Ji-yeon is part of the problem or not, but Agent Shim vouches for her. Ji-yeon thinks that Kwon shot Bon, but Kwon tells her that she is not the one that shot him, he was already shot. Ji-yeon thinks in her mind that it is Kay. But she does not tell them. Ji-yeon asks Kwon how she knew about this? Kwon is walking away, but turns back to tell them that she had an informer. While walking away, we are privy to a conversation between Kwon and an agent. She tells him to keep searching for Kay (though she does not know it is Kay) and tells him to search veterinarian hospitals as well for a gun shot patient. he walks off and she calls someone. Now is the time to meet the informer. In the hospital, the doctor tells Ji-yeon and Shim that the surgery went well with Bon, he just needs to recover. Shim leaves, though Ji-yeon gives him a long look, hmm, is she suspicious of him? She turns and goes inside to Bon’s room. he is sleeping calmly and is hand cuffed to the bed. She sits on the empty bed next to him and calls Aerin to let her know that Bon is okay, you don’t need to worry. But Ji-yeon asks, do you know who shot him? Aerin tells her that it was Kay. Ji-yeon explains that no one knows she is involved so she needs to stay at home. But Aerin tells her that she has something to give to him and she also wants to see with her own eyes that he is okay. Ji-yeon tells her that she might have an idea. Meanwhile, the secretary gets to his house and sees that the paperwork is missing. he is about to pass out at the bad news. he calls someone and tells them that the list is gone, the list. Get it back right now! In another area, Kay gets his own bullet out of his leg and bandages himself up. Then he gets a call from The Secretary (the Voice guy) about getting the list back. But another guy is getting it so Kay can be quiet for awhile. Kay understands and hobbles out of his secret area with a bag. At the river, Yong-tae meets with his driver. His driver might have been on his side the entire time? it looks like he told all the bad guys lies about Yong-tae and helped him out on the sly? Yong-tae is thankful to him for it and the driver is also thankful to Yong-tae. He apologized for hurting Yong-tae before by believing what those other people said. Yong-tae tells him, if you did not do it then you would be dead now. It was good to change sides. Now, this is my last order, go back to your home town and be happy. He gives hima lot of money. The driver happily cries and tells him that he is cool. But then Yong-tae comes back and asks for $10, he actually does not have any cash right now. The driver gives him a $50 and asks, what about my $40 in change? The ajummas all meet to talk about their upcoming bazaar. They need to add the Christmas tree and provide gifts for the security guards. Eun-ha wants to make it a bit bigger this year than last year even though SR thinks they can just do the same thing. Sunmi mentions that they ca have a lucky box, you don’t know what is inside. Cut to Kay walking into the pharmacy for painkillers. An ajumma tells him “hello” but he ignores her so she tries not to put on a stink face and walks away. However, she remembers him from when they found the kids a few weeks ago. She found the abductor! She texts the KIS ajumma squad about it. The squad is all together having a discussion about the Bazaar when they all get the text. They are all like, WHAT IS THIS! LETS GO! They all pull out their forks like swords and tap them then head out! The original ajumma is still following Kay and continues to text the KIS about where he is going and which streets he is passing. She runs up and hides behind trees as she alerts them to which streets he is turning on. Cut to all the ajummas showing up at once and surrounding Kay. YOU ABDUCTOR! Kay is about to pull out his gun, but he remembers The Secretary telling him to be quiet for awhile. Then the street cops show up and tells the man that they want to see his ID. Cut to him at the local police station. The ajummas are there as well and tells the duty police about Kay trying to take two kids! The polcie area all like, okay, we will look into it. The Ajummas give Kay one last look and then head out. The duty police think this will be a headache since they do not have any evidence. But they have to work on it. However there is another disturbance with a family at the station who are arguing, so the duty cops are distracted for a moment. That is enough time for Kay to slink away. Meanwhile, Aerin is dressed like a nurse and is trying to sneak into Bon’s room. His room is heavily guarded so she has to show the nurses ID to get in. She manages and rolls her cart right up to Bon’s room. Bon tells her, it is not the time for my shot, who are you? Aerin removes her mask and Bon opens his eyes. Ji-yeon comes in right then as well and congratulates Aerin for sneaking in. She helped her arrange everything. They all think she might have some spy DNA in her. Aerin gets the paperwork and tells Bon that she worked so hard to keep it safe. This is news to Ji-yeon, she asks, you were successful before you got caught? Good job! Aerin says that she had to come all the way over here because Bon risked his life. Hopefully he can be released and catch the bad guys. Ji-yeon tells her she thinks so, but she gets a phone call and has to leave. Bon and Aerin are a bit awkward as they are the only two in the room. She gives him some juice from a straw. He tells her that it is kind of nice to be injured on this side of things. Flashback to Yong-tae in the hospital and Bon taking care of him. Aerin gives him another sip of the juice happily. Int he hallway, Ji-yeon talks to Shim about the folder. She says she has it. He thinks that she should give it to him. She tells him that she planned on doing it anyway, I will be there soon. But she looks suspicious when she gets off the phone. In a car, Agent Kwon and Yong-tae meet. She asks why he informed her about everything. He asks, why do you think so? She says that she thought he was protecting the Secretary, but no, when I went there, Kim Bon was the one that was saved. You wanted to save him. is that true? Yong-tae tells her that they can put it that way. You know everything so why do you want to see me? She tells him that her question is, why me? They don’t trust me but you contacted me and not Shim Woo-cheol. Yong-tae tells her that he has never seen that guy, but he knows that Kwon is not a part of Cornerstone. Flashback Cut to Yong-tae talking to his driver about Kwon’s appointment with YS. Yong-tae asks where that appointment is. They go to it. The driver gives Kwon a Tarot card, but she has no idea what that means. In the present, Yong-tae tells her that it was his feeling. She tells him to cut to the chase, what is Cornerstone? The camera cuts away as he tells her everything. Then we are back in the car. Kwon is shocked but composed, she tells him that he needs to go to Bon’s house for now (she said Wang Jung-nam’s house). Ji-yeon goes back into Bon’s room and tells him that she will go see Shim to double check something. But Shin will come here soon so talk to her. Bon tells her that he has a lot to talk to Shim about so my handcuffs can be removed. he tells Ji-yeon to be careful. She says of course and smiles. Cut to her meeting with Shim. He tells her congratulations for finishing her project well, she smiles and says it is all because of him. Then he asks for the evidence and wonders what she took from the secretaries house. This gives Ji-yeon pause. Back in the hospital room, Shim confrtonts Terius about being the traitor. But she knows that he is not the traitor even though she wants him to be. Shim is the actual traitor! She throws his passport on the bed and tells Bon to look at the date where he entered Poland. It was 3 years ago. the day Candy died. Shim was not apart of the candy project at all, why did he go to Poland? In the office, Ji-yeon thinks that Shim knew it was the secretaries house only from looking at the address. She asks him, where you friends with the secretary? College friends? Shim says no, he went to school in America. I have never seen the secretary before. Ji-yeon smiles and says that she forgot the evidence, she will go get it right now. he mutters that she loses things all the time and tells her to get it and bring it back. But he also looks a bit suspicious. Ji-yeon walks out and thinks, my boss and the secretary know each other. Flashback montage of all the things that are linked to Shim and Yong-tae and all the coincidences. She looks distured. Shim is looking at her in the hallway as well and calls someone to ask them to take care of one thing. Int he hospital, Kwon brings in an agent to look at Bon. It is the driver that saved him from the explosion. Bon wants to know what i going on, why did you want to save me when you wanted to kill me? Kwon tells him that she wanted the Candy USB. She did not want him to die. So that is what led Kwon to thinking that she didn’t’ believe it, but it actually blew up right there. Flashback to Poland. Bon got the best of Kay, but he was shot in the back. He did not see who shot him, but now we know, it was Shim! Shim walked up to Kay in Poland and took the USB. Then he walked off. Bon woke up soon after and saw the person walking away, but they were blurry in his eyesight. then he passed out. In Poland, Shim waited at a cafe for a moment and left the USB at the table when he got up. Another man came up and took the USB. In the present, Bon is coming to terms with Shim being the real traitor all this time. He thinks ji-yeon is in danger. Let me go! he calls Ji-yeon and asks ehr where she is. She tells him that she was about to go to him. But then she gets hit by a van and rolls on the street. Kwon asks what happened. Bon just lets his hand fall. He asks her where she got that shirt with the clover on it. She tells him that Shim gave it to her. Bon slowly walks over to the bedside and grabs the folder, he gives it to Kwon. It is all about all the bad things that you are tracking. I trust you. I will catch Shim. Kwon tells him to use her ID card an then tells all the agents outside to let him go. She calls one of her agents to her and tells him to prepare her car. Back at the agency, Shim is fuming because he does not have the documents. He calls The Secretary to let him know what is going on. The Secretary is pissed. Shim tells him to go to the safe place. Kay had already left for it. The Seretary grummbles about this matter being too complicated and then head out. He is driven away from his home and we cut tothe Blue House. In the Blue House, Kwon walks up the hallway holding the documents. She is in front of a door, possibly to the president? But she has not gone in yet. 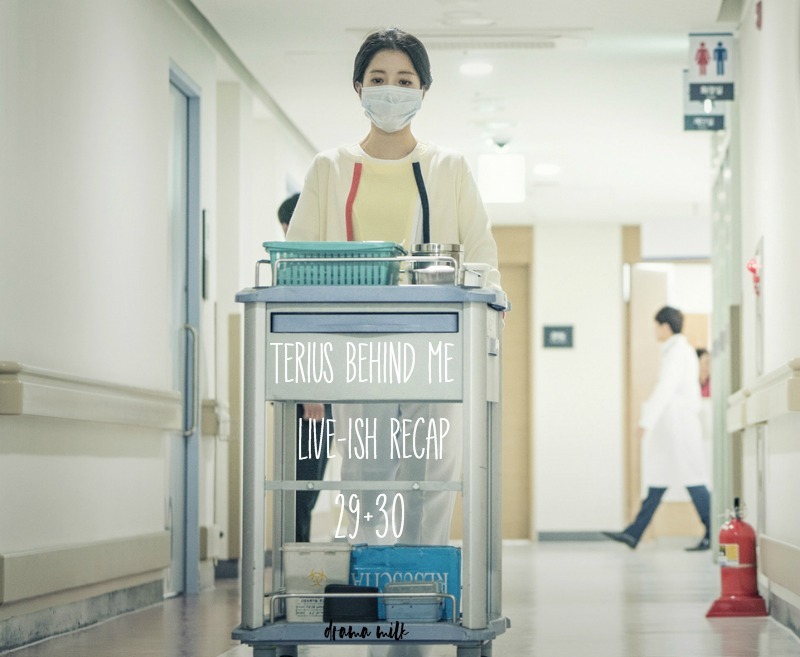 At the same time, Ji-yeon is wheeled into the emergency room. RaDo runs to the emergency room and asks where the patient is. Ji-yeon is wheeled around past him, but he is not allowed to follow. He tells them thta he is the guardian! So they tell him that she needs to have emergency surgery. In Shim’s NIS office, Shim is busy erasing all the files. But Bon is right there at the door and asks him why he did that? Shim tries to fight Bon, but Bon easily takes his gun away from him and asks him again, why did you do that with Ji-yeon? She trusted you and followed you and led a good life. Why! Shim tells him, don’t you know, you guys made up your own reasons to get killed. There are no people that you can just kill. There are people that should be sacrificed, like in chess. But you can’t kill me. Bon fires his gun into the wall. Kwon comes in at that moment and tells Bon that they have an urgent matter, they need Shim to catch the secretary and they can get the list for Cornerstone. Do you want to lose that person close to you because of your anger? Bon holds the gun in a rage, but puts it to his side in the end. Kwon takes it away from him. Then she tells her people to arrest Shim. She tells Shim that she will reveal all his dirty dealings. take him away. Kwon then looks at Bon and pats him on the back before heading out. They all leave Bon there in the office. Bon turns around slowly and sees Ji-yeons bag on the floor. Meanwhile, Ra Do is beside himself with worry in the emergency room as he remembers planning their trip to Iceland. Bon shows up and puts his hand on Ra Do’s shoulder. Then he tells him that Ji-yeon will be back safely again, so don’t cry. Aerin runs up right after that and asks what happened to Ji-yeon. Bon tells her that she is still in surgery. Aerin starts crying as well. Bon tells her that Ji-yeon will be okay, don’t worry. Later on, Bon heads back to the safe house. Yong-tae asks him how King’s Bag owner is. Bon tells him that she is okay for now, but she is unconscious. The secretary disappeared. I will catch him, but you should hide here and be a witness. We will change your identity, so don’t worry. Bon goes to his room, but Yong-tae calls after him, brother did you eat? However, Bon does not answer, he just sits on his bed and looks at the bracelet that Ji-yeon bought for him. he thinks back to telling her to be careful always. She smiled and told him, of course. Bon keeps holding the bracelet, and we cut away to Ji-yeon in the hospital. Aerin and RaDo are in the hospital next to her. RaDo asks Aerin to stay next to her, he thinks he will be very busy from here on out. AR reassures him that she will be there, don’t worry, I will take care of our boss. RaDo heads out, determined. Kwon tells Bon that his identity is all cleared, so come back to work right now. You are the team leader in the King’s Bag project now. And this afternoon, we are going to move WC to R3. After he is moved, the Cornerstone investigation will be your responsibility. Bon understands and asks how he will be moved. Kwon says that the anti terror team will do it. Bon tells her that he will gather all the data right now. He heads out to Kings Bag to gather all the data. RaDo shows up and tells him that he wants to be in the field. He passed all he essential courses with an A+, he is just doing the computer program because he is better at that. Bon asks, you want to do this because of Ji-yeon right? Ra Do says yes, he wants to catch him together with Bon. Cut to Shim being moved to the van. Kwon wants to talk to him at R3 but Shim tells her that she does not want to. He gets in the van though and is lead away. But the NIS agent in the van looks like he is on the dark side as well. Ra Do watches the cars that hit Ji-yeon. He tells Bon that he checked all the CCTV and everything. Bon asks to zoom in on the driver. It looks like Bon recognizes that guy so RaDo does a face match on him. It matches to a team leader for anti-terrorism, Park Do-hoon. Bon immediately calls Kwon to tell her. He knows that Park Do-hoon is the one that is transferring Shim to R3. She asks if Shim left. She wonders what is going on. Cut to Shim driving away with the other agents. Bon puts his phone to his side and says, No…. I am off to run and eat something before the next show. But I have to say that I am happy the spy has come out! Now everyone can get on the same side to take down the baddies! DW – Everyone died at the scene after the shoot out. Bon – It is useless to check the CCTV, I think they left the country or are in their safehouse. Shim – We are going to go out through a third country. Bon – We have to find their safe house, before they leave the country. YT – Please, use me as bait to find the safe house. Brother, you will protect me right? Bon – This is a trap! Wake up Yong-tae! AR – You should wake up as if nothing happened, please. Lets see how many we can count! He had the Bridge scene (1), the foreign scene where he was shot in the back (2), the van bomb scene where he escaped (3), and I think we can add this scene with Kay to the list too, so that makes 4 total! But did I miss any? Wow, you are right. 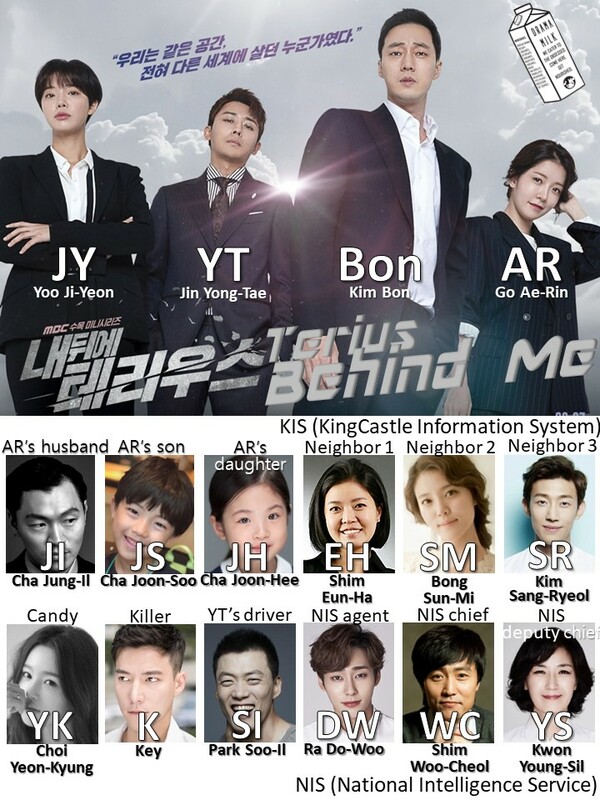 4 lives 5 more to go but only 2/4 eps left… I really enjoying this show, more that I’d though at the beginning. Ready for the recap!!! Thanks V! Nope… I think these were the only scenes Bon used his few lives from his 9 lives. But I’m going to miss him after tomorrow. I was thinking about this… Kwon is the one who would save Bon… And that gunshot sound should be of someone other than that of the two (Kay and Bon). I wont predict coz i’ve seen it earlier (well, the 2nd half)…all i can say is its intense…with some funny parts ofcourse. This is so surprising to me, I had not realized we were at the penultimate last episode.